The biggest city in Alaska boasts the famous Iditarod Sled Dog Race and has an abundance of oil companies nearby, which makes convenience a big plus for our Anchorage hotel guests. 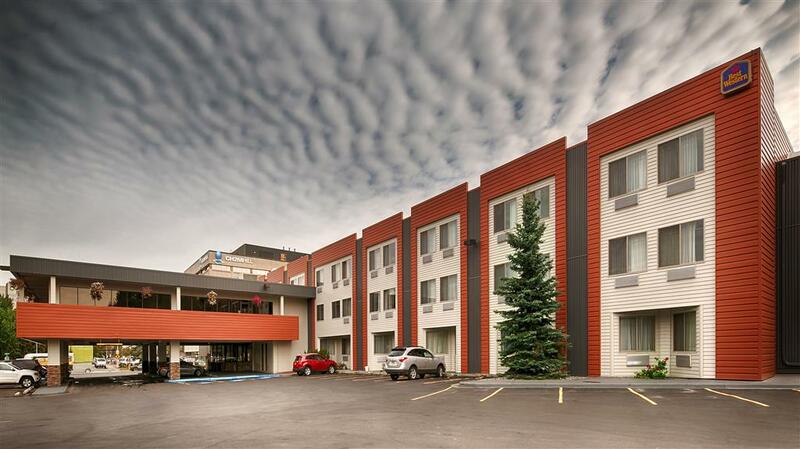 Close to hospitals, local businesses and annual events, this Anchorage hotel has it all. We're close to major oil companies and have a great location right off the highway. Tourists and medical travelers alike enjoy the warm, welcome atmosphere of our hotel. With a friendly staff, spacious rooms and luxurious bedding, we're proud to be your home away from home. The Iditarod Sled Dog Race and Fur Rendezvous are big reasons why many people come to Anchorage, but there's also an abundance of outdoor recreation available. From sightseeing to hiking and fishing, outdoor activities reign supreme in this region. The nearby Alaska Native Heritage Center is a must-see for history buffs and any travelers looking for a slice of culture. At our Anchorage hotel, we also welcome many business travelers from around the world. Some of our regular guests are in town for work with BP Global, CH2M HILL and of course various other oil companies. We're also a favorite for employees of Providence Alaska Native Medical Center. Our service men and women traveling for business at Joint Base Elmendorf-Richardson choose us because of our well-appointed rooms and quality amenities, including our small banquet rooms for meetings. Whether you're visiting Anchorage for business or for a once in a lifetime vacation, it matters where you stay. We're proud to offer our guests the best in service and quality. From a weekend trip to extended stays, we aim to make your visit special. Book your clean and comfortable room at the Best Western Golden Lion Hotel for a great value and a fantastic vacation! Enjoy your stay. From: New Seward Highway. Best Western Golden Lion Hotel is located on the southeast corner of 36th Avenue and New Seward Highway. The dark side of a everyone's favorite giant sea mammal is explored in this public sculpture. Is the whale smirking? Keeping the railway clear ahead. You wouldn't want to be stuck on the tracks when this came along.